Adam is a professional location sound recordist and electroacoustic musician from London, UK, based in Berlin since 2014. After completing a BA in Sound Arts and Design in 2007, (LCC, UAL, London), Adam went on to study Electroacoustic Composition with prof. Denis Smalley, acquiring an MA in 2009 (City University, London). 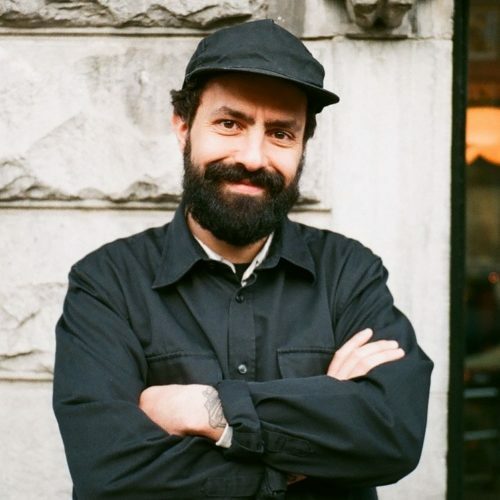 Since then Adam has maintained an active practice within the sound arts, collaborating extensively, with appearances across Europe, and numerous releases. Adam’s deep familiarity of electroacoustic music performance practices, combined with his exceptional experience of location sound recording techniques, enable him to offer valuable insight into the virtues of sound as a creative medium. He has long collaborated with film makers, artists and musicians, entrusted to conceive and create sound-strategies that work closely with the aesthetic and practical framework of each project. In addition, Adam regularly provides location and post-production sound services for numerous commercial projects, on behalf of production companies specialising in advertising, documentary story-telling, online content, and corporate communications.